Is this worth doing with a teenager? All depends how interested the teenager is! What sights do you want to take in? Make sure you book the Jacobite (Hogwarts Express) well in advance as it is very popular. It is also a good tip to try and avoid school holidays as the sights / attractions will be very busy. @csbuceo The scenery on the movie trail at Glenfinnan, Glencoe and around Loch Morar is stunning so it's definitely worth doing. Edinburgh is also popular with HP fans and a great city for teenagers with lots to keep them amused. Spot some familiar names in Greyfriars Kirkyard including he who shall not be named. Next to Greyfriars sits George Heriot's School which is believed to be the inspiration for Hogwarts. Herioters love to recount tales of the school's very own ghost - a little boy who haunts one of the turrets. 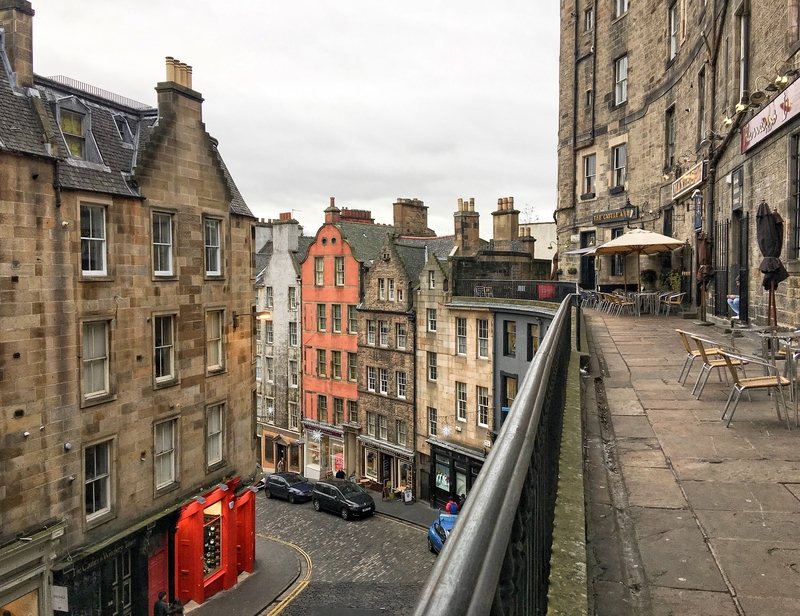 Victoria Street is thought to have inspired Daigon Alley and it's easy to see why. The Elephant House Cafe is now a pilgrimage site for fans as JK Rowling wrote some of the first novel there. We have just created a Harry Potter itinerary which might be of interest. If you go to the Elephant House, make sure you visit the loo (I won't give away why). There is a walking tour called The Potter Trail in Edinburgh, which includes a visit to the Greyfriars Kirkyard. It currently runs at weekend but is more frequent during the summer. It leaves at 3pm from the Greyfriars Bobby statue (near the National Museum of Scotland). It's free but obviously you can tip your tour guide. I did this in January and really enjoyed it, there were several teenagers on the tour who seemed to enjoy it too.